TVS Motor Company, a leading manufacturer of two-wheelers and three-wheelers globally, has announced that the TVS Apache RTR 200 4V Electronic Fuel Injection (EFI) variant is now available in the market. The variant, christened as TVS Apache RTR 200 Fi4V, is equipped with a Twin-Spray-Twin-Port EFI technology. This ensures better drivability, faster throttle response and considerable reduction in emission levels. These factors guarantee a linear operation of the engine and better usable power under varied ambient conditions thereby increasing the performance. 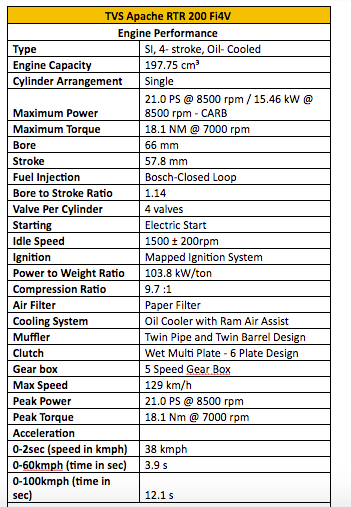 The motorcycle now boasts of an impressive peak power of 21 PS @ 8500 rpm with a torque of 18.1 Nm @ 7000 rpm. With an ascending top speed of 129 kmph, the TVS Apache RTR 200 Fi4V does an astounding 0-60 kmph in a mere 3.9 seconds. On the aesthetic front, the TVS Apache RTR 200 Fi4V gets a ‘Royal-Crown Fly Screen’ (Visor) and comes in the colour selection of Pearl White and Matte Yellow. Priced at Rs. 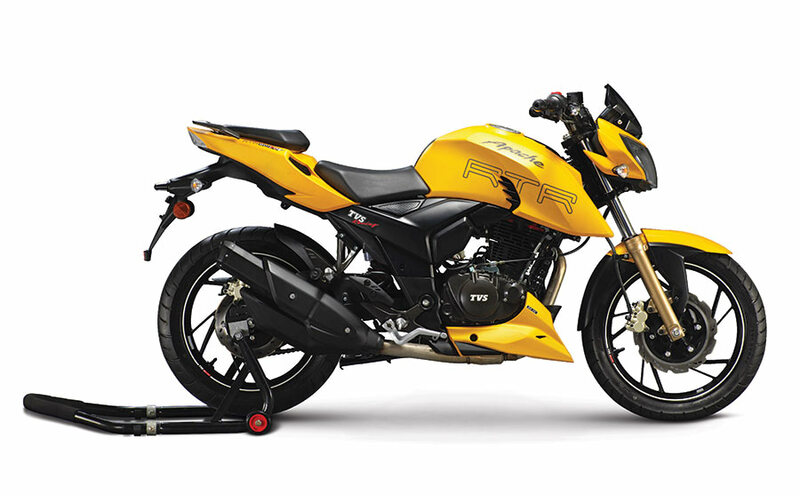 107005/- Ex-Showroom (Delhi), the TVS Apache RTR 200 Fi4V is available in select cities.